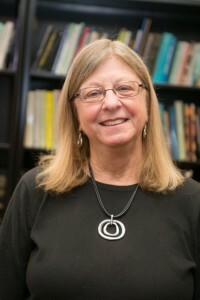 The Jodi Crandall Fellowship for Research in Language, Literacy & Culture is named for the LLC Doctoral Program’s founder and professor emerita, Dr. Jodi (JoAnn) Crandall. Its first awards for collaborative interdisciplinary research by LLC doctoral students were made in 2015. Applications for new prizes are accepted through March 15th of each year. Awards are announced each April. Applicants need to submit a one-page proposal that will be considered by the Crandall Fund Advisory Board. The proposal should include a description of the project and its relevance to LLC, who its collaborators are (which should include other LLC students, LLC regular or affiliate faculty, or LLC graduates), and a budget justification detailing how funds will be used. No awards will be more than $1,000 and typically are closer to $500. Proposals should be emailed to Liz Steenrod at esteenrod@umbc.edu by March 15th or dropped off at the LLC Office at 421 Sherman Hall. Click here to support the Jodi Crandall Fellowship.